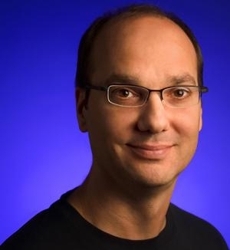 In an interview with the Silicon Valley Mercury News, Google VP Andy Rubin — who founded and leads the Android platform — shared some information about the future of the mobile OS. One of the more interesting answers he had concerned Android’s rapid pace of innovation, and how things may slow down a bit in the future. Since launching in fall 2008, Android has come an incredibly long way. In fact, in the interview Rubin acknowledges that the inital release felt more like a ‘.8’, rather than a full 1.0 release, but the platform has matured considerably with at least four major updates since then. However, many phones are still running versions of the OS that are months out of date, and developers have to worry about ensuring compatibility with each new upgrade. That’s going to change in the future: Rubin says that updates to Android are now coming around twice a year, and that once things settle down it will probably be more like once a year. In other words, Android will likely be adopting a more iPhone-like release schedule. While this isn’t fun to hear (I like getting my new features as soon as possible), it’s probably better for the health of the platform in the long run. Carriers/OEMs will be better able to keep up with rolling out upgrades, hopefully leading to less fragmentation, and developers won’t have to worry about optimizing for as many new releases. In another question, Rubin also identified which products we’re most likely see to see Android on beyond phones, namely PCs, cars, and TVs. This isn’t really a surprise — we’ve already seen a few cars running Android, and Google TV debuted last month — but it sounds like these aren’t just going to be viewed as Android side projects: Rubin says that Google will be doing “everything [it] can to get the big ones”. We’re at about 4 billion cell phones. About 1.4 billion Internet connected PCs — that includes desktop and laptops and everything else. Like 1.2 billion automobiles. Some 800 million TVs. And it’s like, “OK, let’s target the top four.” Let’s do everything we can to get the big ones. Remember, our business is volume, because it’s an advertising business and we want to delight a lot of people. And how do you delight a lot of people? You get in the products that they use every day.